The Greeks, then fighting for Independence, were pioneers in steam warships. In 1825 they ordered ‘Perseverance’ from Brent, Deptford & steam engines from Galloway, Smithfield. Completed in May 1826 she sailed, reaching Greece in September, & was renamed ‘Karteria’. Built at the instigation of the great English Philhellene Frank Abney Hastings, who inspired the design, helped in the construction & commanded the ship on her passage & in war, the ‘Karteria’ was in many successful battles at Phaleron, Oropos, Volos, Salona, Vasilathi, & was the first ever steam warship in war action. A 125ft long, 25 wide, 400 ton, 4-masted schooner with two engines run on steam from coal-fired boilers, 16 rpm, 84 horse, driving port/starboard paddle wheels & 6 knots. Originally she was to have one 32 pound gun forward & one aft, & two 68 pounders in the middle, fired in turn with the ship rotating by her paddle wheels. Red hot shot was to be used, which was lethal for enemy sail & wood ships. She traveled under sail & the steam engines were used only in action. 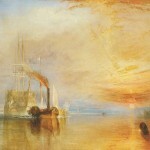 The ‘Fighting Temeraire’ towed by a steam tug to her last berth to be broken up is an oil painting by the English artist J.M. 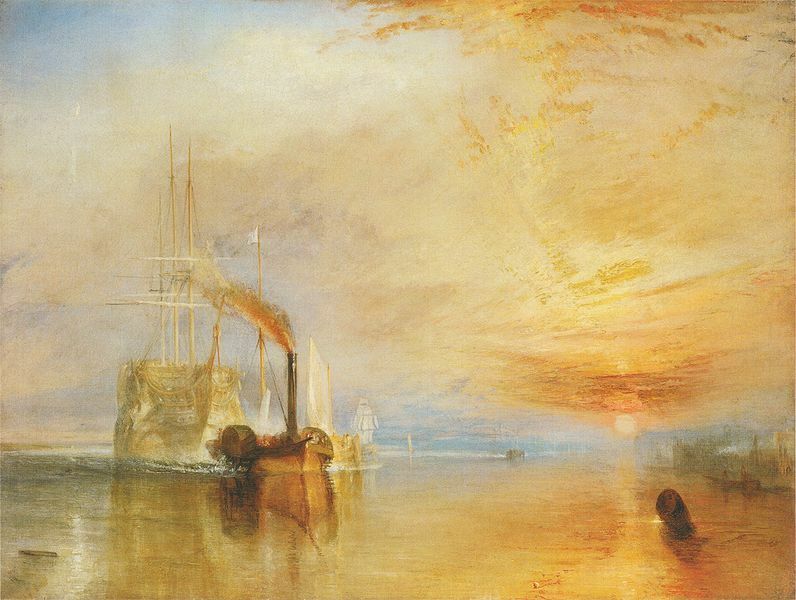 Turner & hangs in the National Gallery, London. It depicts one of the last ships of the line, which played a distinguished role in the battle of Trafalgar in 1805, the 98 – gun ship HMS ‘Temeraire’, being towed towards her final berth in East London in 1838 to be broken up. It symbolizes the ending of an era of great wood & sail ships & the beginning of iron & steam in the building of ships. The early 19th century saw some revolutionary changes in shipbuilding. These were early days of discovery, invention & engineering. With the tools of science & materials developing with the industrial revolution new things were designed & made. In ships these new monsters or wild beasts, as many called them at the time, gradually developed into workable & efficient machines & vehicles that were to change the world. Progress is achieved with new ideas. New ideas come from a miscellany of sources. Some in house, some from the market, some from research, from universities, learned societies, accidents, changing economies, war, politics, geography, scientific & technical innovation, new rules & regulations, some from other industries. Some take a long time to be assimilated & established, some less, while their relative benefits can be subject to controversy. Individuals with knowledge & experience, vision & tenacity & with the tools of science & engineering, took it upon themselves to invent, coordinate & build new things. Frank Abney Hastings was one of them. He was also a man of ideals, courage & leadership & with Byron one of the great Philhellenes & heroes of the Greek War of Independence (1821-1829). He instigated the ordering of the steamer warship ‘Karteria’, inspired the design, helped in the construction & commanded her on her passage from England to Greece & in the War. Hastings’ & the ‘Karteria’s’ were positive & critical contributions at a turning point in the development of steamships, iron ships & naval guns, that was followed by quick progress & spectacular achievements in all these areas. Theirs is a great story that had a significant influence on in the transition from wood & sail to iron & steam in shipbuilding, on the development of naval gunnery as well as the politics & history of the age. This paper also covers developments in ships, propulsion & guns before & after the ‘Karteria’. Furthermore it covers design, ordering, contracting, finance, supervision of construction & thence organization for delivery, crewing, training & operations and, in this case, successful & effective combat. Use of steam goes well back in time to Heron of Alexandria, about 20 centuries ago, & his mechanism to open & close Ptolemaic Gates. It was however with Watt in 1769 that a practical machine was built, which was followed by Stephenson’s Rocket locomotive & later by steam engines for ships. Some of the early successes were the ‘Charlotte Dundas’, a wooden stern-wheeler tugboat with a Symington steam engine on the Clyde in 1801, Fulton’s ‘Clermont’, a steam ferry on the Hudson River in 1807, Bell’s ‘Comet’ ferryboat on the Firth of the Forth & Marc Brunel’s ‘Regent’ on the London to Margate run, both in 1812. The American ‘Demologos’, a steam warship built in 1814, with a paddle wheel on the inside between two wooden hulls & 26-32 pound guns, never saw action in war. The steam warship ‘Rising Star’ built in London for the Chileans reached Valparaiso in 1822, when their War of Independence had ended. The American ‘Savannah’ in 24 days in 1819 & the Dutch ‘Curacao’ in 28 days in 1824 both crossed the Atlantic with part sail & part steam propulsion. The ‘Diana’ built in India in 1823 for British East India with two steam engines 25 hp each from Maudslay, London (100’ length – 16’ – 8” breadth – 89 tons) was an armed transport & may have been the first steamer to fire shots in anger in the 1822 – 28 Burma War. The Greeks, then fighting for Independence, were among the pioneers in the use of steam warships. In 1825 they ordered the ‘Karteria’ to be built by Brent at Deptford on the Thames & her steam engines by Galloway at Smithfield. She was completed in May 1826 & reached Nafplion in September 1826. Frank Abney Hasting was ‘Karteria’s’ creator & her heroic commander. Wood was used to build boats from the dawn of history. In late 18th Century however new & longer routes, larger sizes & new ship types & possibly the scarcity & price of good wood, made the use of iron a virtual necessity. Iron bolts & nails of old were followed by clamps, brackets & knees & eventually riveted frames, beams & plates. Pig iron production in England rose from 17,000 tons in 1740 to 45,000 tons in 1785. Progress with Darby’s & Cort’s methods converted pig iron to malleable iron, that was not brittle & easy to fracture. In 1800 Dockyards used only about 1500 tons of iron annually. 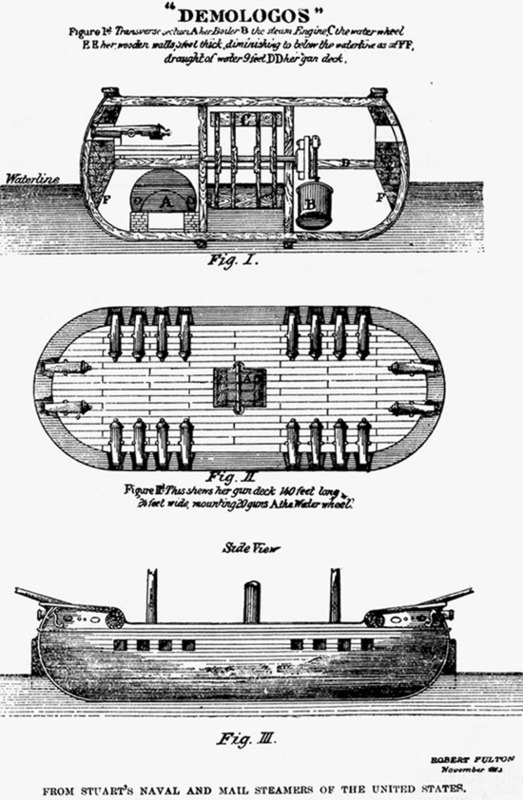 In 1809 patents were taken for the use of wrought iron plates & tubes for ships & use of iron increased significantly. In 1815 a small iron pleasure boat was launched on the Mersey & in 1818 the ‘Vulkan’, an iron ferry, was built for use on the Forth & Clyde Canal. In 1821 the ‘Aaron Manby’, the first iron steamboat, was completed at Rotherhithe (120 ft long, 116 tons) for service on the River Seine, as a pleasure boat (bateau mouche). Her flat bottomed hull was quarter inch thick iron plate fastened to angle – iron ribs & there was one deck of wood. In 1825 Horseley of Liverpool built a small iron steamer (10 hp) for the Shannon & in 1827 Napier built the ‘Anglia’ steamer, with an iron bottom & wooden sides above water (62.8” long to 13’ – 0”breadth, 4’ – 6” depth tonnage 49/36/94). Lepanto on the 7 October 1571 was the last major naval battle between rowing galleys & an early one where guns were also used. The Holy League won & their superiority in fire power had given them an important & decisive advantage. The age of sail & guns followed. At the end of the 18th century there was a surge towards gun development & improvement. Carron’s of Falkirk, Scotland, produced a new lightweight short barreled weapon that threw a greater weight of shot that the conventional long guns of the same weight. They remained popular till the 1820’s. In 1822 Paixhans, a French artilleryman, proposed guns firing explosive shells – canons obusiers – for a fleet of cheap, expandable iron steamships. The French Navy rejected the idea. Frank Abney-Hastings was born in 1794, the younger son of Lieutenant General Sir Charles Hastings & grandson of Frances Hastings, 10th Earl of Huntington. In 1805 he joined the Royal Navy aged 11, & was on the “Neptune” in Trafalgar. He served worldwide with distinction & rose to the rank of commander. In 1820 however after an unfortunate incident & argument with a senior officer in Port Royal, Jamaica, he was unjustly compelled to leave the service. He went to France to study gunnery & learned French. In 1822 he went to Greece to fight for her liberation. 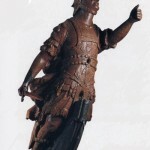 He volunteered to serve on the Tombazis’ ship “Themistocles” & quickly won the respect of the Greeks for his courage, seamanship, naval tactics & the clever & innovative use of guns. He participated with distinction in many a naval & military engagement. His major & memorable contribution was with the “Karteria”. In a Memorandum to the great Philhellene Lord Byron, in 1823, & later presented to the Greek Government, he advocated the use of steamers instead of sailing ships & guns firing hot shot. These were to prove a revolutionary innovation & advance over the armed merchantmen & fire ships then used against the mighty Ottoman & Egyptian fleets. Steamships would manoeuvre quickly & efficiently with or against the wind & hot shot would bring havoc & fire to the sails & wooden hulls & decks of their traditional sailing ships. In the autumn 1824 Hastings went to England. He promoted his ideas for steamships & naval guns and, when the second Greek loan of £20,000 was floated in February 1825, he managed to obtain £10,000 from it & authorization for the building of his steamship the ‘Perseverance’, in March 1825. He offered to pay for her guns himself. The order went to the Brent family shipyard at Deptford for the hull & outfit. The Brents were old established shipbuilders & enjoyed a fine reputation. Between 1770 & 1803, they had built at least 64 ships, light merchantmen (East India & Hudson Bay Companies) of 800 – 1200 tons & the remainder were warships of 74 guns & smaller (Royal Navy). In the early 1800’s warship orders declined & the Brents turned to innovation & technology. They designed & built three steam powered paddle wheel packet ships, including the ‘London Engineer’ that shuttled passengers between London & Margate. 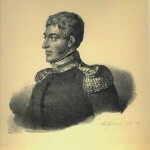 Later the Brents contracted with the famous radical Thomas Cochrane, later Earl of Dundonald, to build a steam warship, the ‘Rising Star ‘ to be used in the Chilean revolution. It arrived in Valpariso in July 1822, too late to be of use to the rebels, but it was the first steamship to cross the Atlantic, & was the first steamship in the Pacific Ocean. The steam machinery was ordered from Alexander Galloway’s, an important engineering firm in London, Smithfiield. Alexander Galloway was considered one of England’s leading engineers. Well before 1824, they had exported minting machinery to Algiers & a large cotton press to Egypt. They had also built the steam engines of the ‘Rising Star’ & a new steam engine for the ‘London Engineer’. The latter had been bought by Mohamed Ali, the Pacha of Egypt, & sailed to Alexandria, to be there converted to a warship. Galloway’s son Thomas went to Egypt in 1824 to help & stayed on to become the Pacha’s Chief Engineer & named Galloway Bey. After his death in 1836, his brother John Alexander continued his project for a railroad & canal Alexandria, Cairo, Suez, that preceded the Suez Canal for the passage to India. The hull was quickly & efficiently built, but the steam machinery, promised for August 1825, was subject to continuous postponements & delays. Engine building was then still in its infancy & the “series / mass production” with the order of five more steamships must have had an adverse effect. Influences from other clients are not unusual. In the circumstances Hastings was certainly not happy, but managed quite well. ‘Perseverance’ was finally completed & sailed from London in end May 1826, bound for Greece & under the command of Hastings. She was rigged as a four-masted schooner, & made way mostly under sail. Her engines, were noisy & slow – sixteen revolutions per minute. For her time, she was however a great success. Design of engines & boilers then was empirical, & nobody could be sure that a new ship would raise enough steam to make any headway. The ‘Perseverance’ did, but with a good share of trouble. In the Mediterranean, her iron riveted boiler burst & there were problems with the engines & paddle wheels. Hastings put into Cagliari, Sardinia, where repairs took three months. It was September before he reached Nauplia & a great welcome from the locals. Some thought the ship would start her paddle wheels & climb to the top of Palamidi, the town’s hill fortress. She was officially delivered to the Greek Government & renamed ‘Karteria’, greek for ‘Perseverance’. It is possible that we have here ‘design’ & ‘as built’ data. Here & elsewhere in this paper particulars come from a miscellany of sources, many of them on history, & may differ on the technical data. 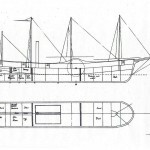 The ship was built as a 4 – mast schooner. She had raised forecastle & poop decks & a raised deck midships. The fore & aft well – decks in between had a high bulwarks port & starboard & the ship’s 8 guns were located within, 2 fore & 2 aft, port & starboard. The raised deck midships was in way of the port & starboard paddle wheels & above the engine & boiler rooms. The tall funnel was above the boilers aft, with the engines forward. The ‘Karteria’ was built with her timbers close & caulked together, & would therefore, have floated without planking. I had several opportunities of remarking the advantage of building thus, to resist shot; nothing less than a eighteen pounder ever came through us; this, ’tis true, might be partly attributed to Turkish bad powder, but those shot that did come through, always made a nice clean round hole without a splinter. However, against shells it would have a disadvantage, as they would be more likely to stick in it. Perhaps if shells became generally used, it will be proper to make the upper works of a ship as slight as is consistent with strength, & iron ribs might perhaps be good. The ‘Karteria’ had another peculiarity in her build – two solid bulkheads enclosing the engine room, & caulked & lined, so as to be water tight, the intention of this was, in the event of one part of the ship being leaky from any cause whatever, the water could not flow into another part of the ship. This arrangement, which is due to the ingenuity of Mr Brent, the builder, once saved this ship from fire, which broke out with great force in the after-part of the engine room, & would have communicated to the shell room very quickly. But for this bulkhead, which kept the fire forward, & gave us time to subdue it. I see no reason why all men of war should not be furnished with similar partitions. The same builder saved another ship (the Rising Star) from sinking, by this contrivance. The Midship Section shows a carvel build, about 3” thick, on the lower sides, which also corresponds to the difference between the Breadth Extreme (25’ – 0”) & the Breadth Moulded (24’ – 6”) given, & the material is obviously wood. The upper sides are about 4” thick & bottom about 3.5”, while frames on the sides are 10” wide & bottom transverses about 11” wide & apparently wood. The bottom brackets & bottom / side gussets are apparently iron, while the iron ribs mentioned are for the future. This was a limited use of iron & there was no sufficient precedent or experience to do more for the ‘Karteria’. The ‘Amie McKim’ built in Baltimore in 1833 was the first archetypal clipper. Composite construction was adopted for the early clippers with internal iron frames, beams & pillars, wood for stem & sern posts & planking to which copper plating was fixed. This avoided galvanic action & protected the hull from fouling. Paixhans had advocated iron steamships & his shell cannons in 1822 without success. Hastings must have had similar ideas & while his steamship & his guns went ahead, full iron construction for ships came later. Another interesting feature on the ‘Karteria’ was her two solid bulkheads, enclosing the engine room, & caulked & lined, so as to be watertight & to prevent any possible leak of water from flowing from one part of the ship to another. Transverse watertight bulkheads in wooden ships were introduced by Shanks on the ‘Trial’ in 1790 & used by Bentham on seven experimental vessels in 1794. He had also introduced longitudinal bulkheads. 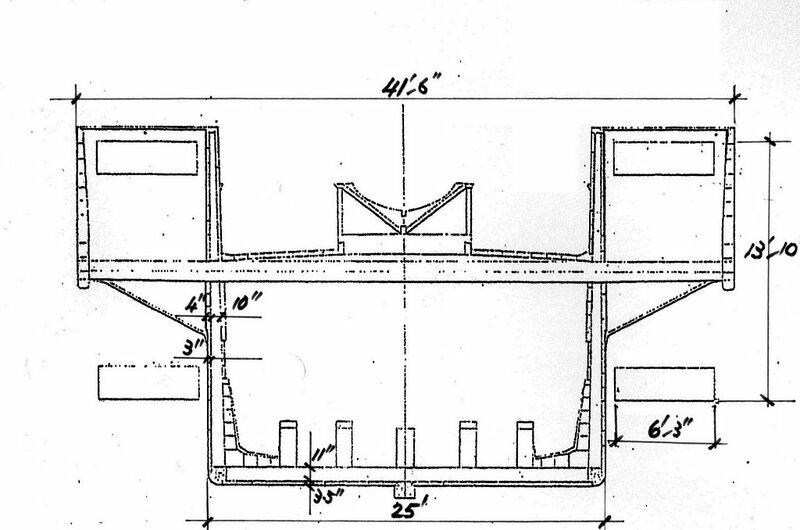 Transverse watertight iron bulkheads in iron steamships were first introduced by Williams on the ‘Garryowen’ in 1833. The steam engine started as a practical machine with James Watt with his introduction of condensers, double-acting pistons & translation into rotary motion. These were covered by his 4 patents between 1769 & 1785. 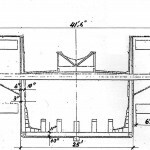 More than 250 patents were filed by others up to 1825 & covered boilers, furnaces, valves, regulators, fuels & generally progress & development for application in pumps, locomotives & some in ships. A typical steam engine for a ship at the time was low pressure 20lb /in2 at about 15 revolutions per minute & driving paddle wheels on the ship’s sides, middle or aft Boilers were single iron boxes with internal stays, a furnace for burning coal & a tall flue. The ‘Karteria’ had two steam engines, one port & one starboard, that ran independently. Each was connected to its corresponding paddle wheel & this system gave exceptional manoeuvrability. The engines ran on steam from the boilers burning coal. The engines were located forward of the boilers. Power from each steam engine was 42 horse & with a total of 84 horse speed in calm water was about 6 knots on a consumption rated at about 7 tons/day. These were early days however & making steam engines for ships & running them had not been generally established. The ‘Karteria’ sailed well, but her machinery & paddle wheels gave constant trouble.. The necessary diversion to Cagliari for repairs was bad for morale & Hastings wanted to dismiss the two Galloway engineers onboard. Running, maintenance & repairs in Greece afterwards was a serious headache for Hastings. Coal was also problem with high consumption. He had chartered the ‘Tiber’ in London & had one of his officers bring a cargo of coal & other supplies to Greece. Local wood & other fuels were not adequate. It was lucky the ship moved mostly under sail. 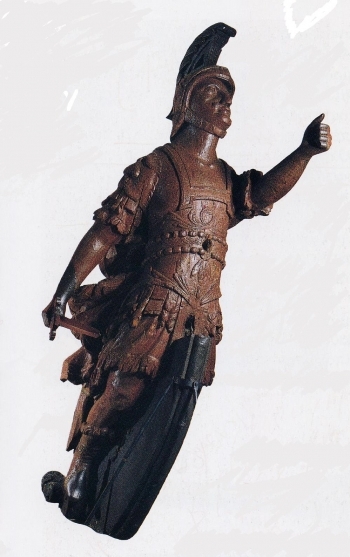 His skills & perseverance however kept things running when they were needed most, in battle. Guns, steam & possibly iron, were central in Hastings’s thinking. In his Memorandum to Byron in 1823 his ideas were for two long 32 – pounders fore & aft & two 68 – pounder guns of seven inches bore, one on each side. These were later changed to 4 – 68 pound Carronades (Carron Ironworks, Scotland) of the Government pattern & 4 – 68 pound guns of a new form, seven foot four inch long, fifty eight hundred weight (about three tons)and based on a model prepared by Hastings. They were apparently ordered at the same time as ‘Perseverance’ in March 1825 & sent to Greece via the USA, as the ship had to leave England unarmed. In fact they arrived in Greece on frigate ‘Hellas’ in December 1826. For the ‘Karteria’, that had arrived in September 1826, Hastings had to borrow temporarily guns from the Nafplion fortress & used this time usefully to organize & train his crew. The original ideas for action were to start with red hot shot, heated by the ship’s furnace coal, & which, while less destructive than shells, had a longer range. Explosive or incendiary shells would follow. These combined with the steamship’s movements, independent of the wind, would be lethal against sailers depending on the wind & with vulnerable sails & wooden hulls. All this was based on variety of innovations of equipment & methods to heat & transfer the shot, to carry & fuse the shells, good locks, protection from recoil & gunners’ good training & discipline, all of which were Hastings specialities. We have two Englishmen (officers), one German, one Frenchman, & one Greek; The Greek is the eldest son of Tombazi, Captain Hastings is a man who deserves the deepest gratitude & respect from the Greek nation. It is only through his exertion, his activity, & generosity, that this ship was ever got out. She was built under his own eye in London, & carries as much weight of metal as a thirty-six gun frigate; her engine, however, is not the best. Captain Hastings, having on board about forty English & forty Greek sailors, is all ready to join the Greek fleet & engage the enemy. Elsewhere crew numbers are given as 17 Officers, 22 Petty Officers, 32 Gunners, 110 Seamen & 4 Cooks/Servants, a total of 185. With the ship running partly on sail & partly on steam, it is obvious that specialties were needed & used accordingly. Hastings spoke English, French & Greek & with some effort achieved their respect, loyalty & love. He got the best out of them. With the engagement of Thomas Cochrane to command the Greek Navy, orders were placed in mid1825 for two 64 gun frigates for an estimated £ 75,000 each from New York naval contractors Bayard & Howland & for five further steamships for £ 25,000 each from London’s Brent & Galloway. The frigates were delayed & costs escalated. In August 1826 one of the frigates was sold to the US Navy for £48,000, (while £88,000 had been spent on her) to pay for the other (apparently £200,000). The ‘Hope’ was delivered in November 1826 & reached Greece in December, renamed ‘Hellas’. The steamships were also delayed. The ‘Enterprise’ reached Greece in September 1827 & was renamed ‘Epiheirisis’. The ‘Mercury’ was even later, when the War was nearly over & was renamed ‘Hermis’. Of the other three, one blew up during trials & two were never completed, but left to rot on the Thames. In end January 1827 the ‘Karteria’ proceeded to Phaleron, in the vicinity of Athens & saw action in both sea & land engagements. She was accompanied by three brigs & five gunboats. In February she was ordered to Oropos in the Gulf of Evoia, where with the frigate ‘Hellas’ commanded by Miaoulis & the brig ‘Nelson’ commanded by Papanikolis they brought havoc to enemy coastal defences, stores & ships & disrupted their traffic of troops & supplies. Two transports loaded with equipment & supplies were captured & taken to Poros. 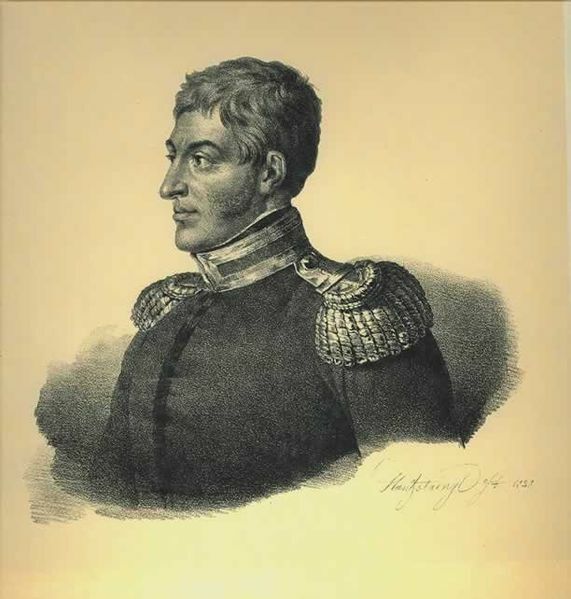 In March Cochrane took over as Commander of the Greek Navy & ordered the ‘Karteria’ to lead with schooner ‘Themistoclis’, brigs ‘Ares’ & ‘Panaghia’ & sloop ‘Aspasia’ & proceed to Volos for a similar operation. Shore installations & guns were destroyed, five loaded transports were captured, two were destroyed by fire & one ran aground. Immediately after at Trikeri they attacked a large warship at anchor & mounting fourteen long 24-pound guns & two mortars & four beached captured schooners. All were destroyed by firing from a distance. That type of operation was where the Greeks were most effective. Armed merchantmen & fireboats at sea & quick movements & strategic positioning of forces on land, were a relative match for the large Ottoman Navy & Army. Their movements of troops & supplies were seriously disrupted, while their fortified cities fell one after the other. The balance however could not be kept forever. The Ottomans, with their Egyptian allies, were gaining both at sea & on land. Cochrane with the ‘Hellas’ & 22 ships & 6 fire ships, attempted to surprise & burn the Egyptian fleet in Alexandria in June 1827, but had no success. In early September with the ‘Hellas’ & ‘Karteria’, two schooners, twelve brigs & three gunships he proceeded to Vasiladhi & Mesolonghi to take part in the Greek land offensive in the area. They had limited success & the fleet was split. Salona infuriated Egypt’s Ibrahim Pacha, the Ottomans’ ally. Their fleets at Navarino were facing England’s under Codrington, France’s under De Rigny & Russia’s under Heyden, there to persuade them to make peace & go home. They refused & on 20 October 1827 a battle was sparked off & they were quickly defeated. Navarino was the last major naval battle with sail. A new era had been started with Hastings & the ‘Karteria’. No one served Greece more selflessly. No other foreigner could match his record of achievement. Frank Abney Hastings is buried in Poros & his heart is immured at St. Paul, Anglican Church, Athens. In September 1829 the Treaty of Adrianople was signed & in February 1830 Britain, France & Russia recognized a free Greek State. In 1827 Napier built the ‘Anglia’ (62’-8” long 13’ beam) with an iron bottom & wood sides. 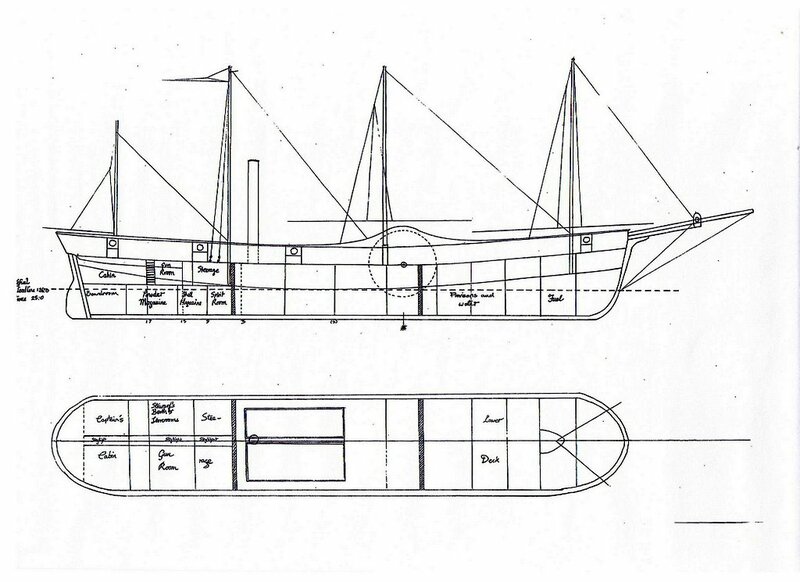 In 1828 the French built the ‘Sphinx’ (62.25m long 8.15m beam 910 tons 60hp). In 1830 she had some war action in Algiers. In 1833 she towed from Egypt the Obelisk, now placed in Concorde Square, Paris. In 1830 the ‘Dee’ was built for the Royal Navy with 2 – 36 pounders & 4 carronades. In 1833 the ‘Royal William’ was the first ship to cross the Atlantic on steam & paddle wheels alone, while the ‘Archimedes’ in 1838 was the first steamer driven by a propeller, which showed a gain on efficiency over paddle wheels. Isambard Kingdom Brunel, whose bronze statue stands on the Thames Embankment next to the old Shell building, is the designer & builder of underwater tunnels, railways, bridges & ultimately the three great ships of the age. The first in 1838, the ‘Great Western’, wooden built, 236 feet long, 1321 tons, 2300 tons displacement, with four boilers & one 750 horsepower steam engine driving 28 foot diameter paddle wheels, crossed the Atlantic on her maiden voyage from Bristol to New York in 14.5 days, an average 8 knots & with 24 first class passengers. She arrived only hours after the ‘Sirius’, 700 tons, 320 horsepower, that crossed from Cork to New York in 18.5 days, an average of 6.7 knots with forty passenger onboard. The second in 1845 the ‘Great Britain’, an iron ship, 322 feet long, 3443 tons 2,284 tons displacement, with a 1500 horse power steam engine driving one propeller crossed at an average 12 knots with 60 first class passengers in state rooms & a full complement of steerage passengers & 600 tons of cargo. Later she was used as a cargo & passenger ship to Australia, carrying on one voyage 600 passengers. She had five watertight bulkheads. The third in 1858 the ‘Great Eastern’, an iron ship, 692 feet long, 82 feet beam, about 18,900 tons lightweight, & about 27,000 tons displacement, with two steam engines each driving port & starboard paddle wheels & one driving one propeller aft, she could reach a top speed of 15 knots on 300 tons of coal a day & carry 3000 tons of cargo & 4000 passengers or 10,000 troops. The ship was double skin, with cellular double bottoms, transverse subdivision bulkheads, great longitudinal strength & excellent manoeuvrability. All features that were adopted in shipbuilding ever since. She was by far bigger than any ship built to that date & it is only about 50 years later, in 1906, that she was surpassed by Cunard’s ‘Lusitania’, 31,500 tons with four propellers & a speed of 24 knots. The basic principle behind these spectacular increases in size was that power to propel a ship does not so much depend on size, weight & displacement, as on resistance to a ship’s motion in water, caused by her hull surface or skin friction, eddies & wavemaking. William Froude had worked with Brunel & later developed his famous theories. It is in this new world of science & mathematics, combined with the use of iron & steam, that naval architecture came to relate size & shape of hull, engine power, efficiency of propulsion, quantity of fuel & cargo to the design of ships that had been traditional, empirical & with a cautious & conservative outlook. In warships progress was different. France, Russia, United States, Spain, even the Ottomans, Naples & Sardinia, went into warships, where steam, iron & new artillery, in different stages of development, were used in many combinations. The Royal Navy ordered at some stage iron frigates, but later turned them into transports. In the Crimean War (1853-1856) steam propelled gun platforms were used. 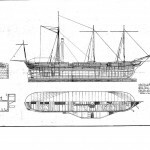 In 1859 ‘La Gloire’, wood/ironclad steam warship was built by France & in 1861 ‘Warrior’ steam, 938 ton displacement, the first complete iron warship, albeit with internal wood cladding 24 inch thick, was built by England. The propeller, turret guns, steel & ultimately Parsons’ 1897 steam turbine, closed the century that had seen spectacular development & innovation in ships. The steam engine had a slower development. Low pressure engines in the first half of the 19th century were followed by compounds of 60 lb/in2 in the 1860’s & triple expansion engines of 120 lb/in2 in the 1870’s. Drastic change only came about at the end of the 19th century, when Parson’s ‘Turbinia’, the first steam turbine boat, was presented in a spectacular manner to Queen Victoria & the Royal Navy at Spithead in 1897. In the second half of the 19th century the industrial revolution, with ship technology as a spearhead, was ready for export. Engineering, metallurgy, propulsion, science & ballistics gave the West the tools to straddle the world, move the people & carry the goods fast & efficiently. Associated with all this is the opening of the Suez Canal in 1869. The London to Bombay sea miles were reduced to about half & the whole pattern of sea trade changed drastically. This was the age of European expansion worldwide & the emergence of global economy. These years saw the consolidation of iron over wood & steam over sail. In the 1880’s Bessemer steel started replacing iron. By 1900 it was nearly all steel, which was lighter & easier for construction. Steel benefited all ships. Warships & passenger ships benefited from both steel & steam turbines & went on to larger sizes & greater speeds, & in line with the commercial & military requirements of the times. The great transatlantic passenger liners & the dreadnoughts are legends of the age. Hastings & ‘Karteria’ make a fascinating story, that places them at a crossroad of both technology & history. The 19th Century saw a fascinating transition from the proud sailers to the steam & iron ships, that started progress & development towards the giant ships of to-day. Steam propulsion would give more & more power, be independent of wind & weather & less labour intensive than sail. Cost & availability of fuel would be a problem, but organizing stocks worldwide & increasing efficiency of boilers & engines would alleviate it in time. Paddle wheels were bulky & slow, in way of guns on the sides & vulnerable to enemy fire. They were later replaced by propellers. Wood construction of ships had limits in supply & strength. 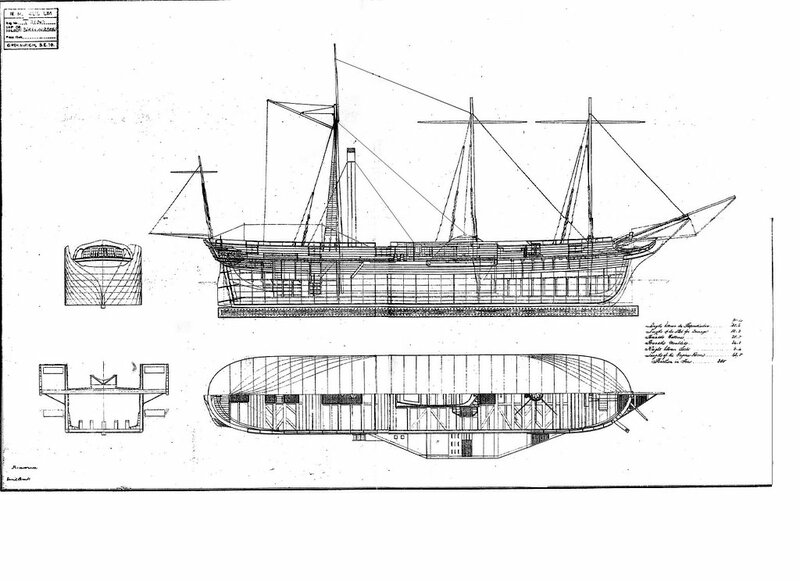 With part & then full iron construction hulls would belighter & size of ships would increase dramatically. Wood & sails were an easy target for fire ships, explosive & incendiary shells. Iron cladding, then iron hulls & steam engines deep inside the hull gave better protection. Naval artillery also benefited from stronger ships, better iron & innovative design. Many contributed with their knowledge, science, experience & hard work. It can be said that Hastings & ‘Karteria’ were among the catalysts in the start of one of the most important creations of these times. Creation involves discovery, invention, enthusiasm, leadership, getting things done, construction, operation, struggle, achievement. In most cases it has to go uphill & by-pass the established & conventional wisdom of the time. The biographies of these many creators make for a great inspiration to us all. For those involved in shipbuilding, operations, the innumerable associated activities, the many personalities they meet worldwide, the exotic places they go to with ships, the struggles of Hastings & ‘Karteria’ mirror their own activities & routines in the exercise of their profession. Maurice Abney Hastings and Dianne Williams, from Ashby de La Zouche, Telemaque Maratos and Spyro Nicolaou from the Society of Study of Greek History, John Paloumbis from the Piraeus Maritime Museum, Harry Tzallas from Alexandria and my colleagues Sam Biggs and Yanna Vrettou have given me great help and inspiration in the preparation of this paper. I am very grateful to them all and convey to them my sincere thanks. 1955 Graduate City & Guilds, Imperial College. University of London. 1956/7 Apprentice at British Shipyards and at sea. 1958/75 Superintendent Engineer – newbuildings and repairs – with Rethymnis & Kulukundis, then C.M. Lemos, then Manager with M. Marcou, all in London. 1976/2008 Consultant, in both London and Piraeus, acting for clients in general shipping technical, management and legal work, also in contracting, specifications, planning and supervision of 160 newbuildings and 7 conversions worldwide. Very interesting but why no mention of Denis Papin who built a steam powered boat of some kind when he was at Kassel in 1704? This was said to be the first use of a steam engine for locomotion of any sort. Brilliant – I always knew you had hidden talent Micky!! Denis Papin was indeed a great physicist, mathematician and inventor. Born in France, he worked with Huygens, Leibnitz, Boyle and Hook and in France, England, Italy and Germany. In 1707 he built a steam engined paddle boat and sailed her down the river Wesser from Kassel in Hesse. 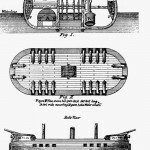 She was the first ever steam powered boat or vehicle of any kind. At Munden however she was confiscated at the insistence of the local boatmen – earlier Luddites – and probably destroyed. It wasn’t until 1769 that James Watt perfected his steam engine and steam boats only appeared at the beginning of the 19th century. Such are the vagaries of inventions and the trials and tribulations of inventors. Papin certainly deserves a prime place in the history of steamboats and merits recognition for his knowledge, work, imagination and tenacity. Sadly luck did not favour him. I believe that the line “the second Greek loan of £20,000″, should read “the second Greek loan of £2,000,000″ . Perhaps the old saying that history repeats itself remains true?